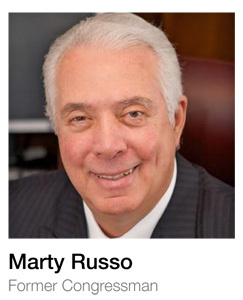 Marty Russo is a noted speaker on how to have more influence in Washington, in business, and in life. Using dynamic story telling and listing useful tips, former Congressman Russo is a energetic speaker on having more influence. You will leave with the leadership knowledge and action oriented tips you need to make a difference. 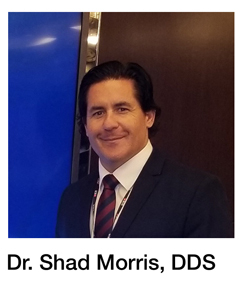 Dr. Smith is a Diplomate of both the American Sleep and Breathing Academy and the American Board of Dental Sleep Medicine and is on the Advisory Committee of the Australasian Academy of Dental Sleep Medicine. In 2007, he was asked to start a sleep curriculum at the Las Vegas Institute of Advanced Clinical Studies. In 2011, he started the SKISH Initiative (“School Kids in Safe Hands”), to keep bus drivers and students safe on the roads. In 2012, he was the first in Texas to be awarded a Dental Sleep Medicine Facility Accreditation and is the creator of the “Best Sleep Hygiene” app. He is current President of the ASBA. 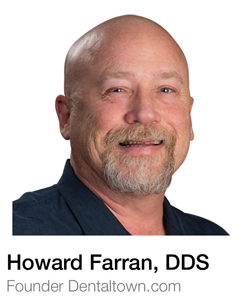 Howard Farran, DDS, MBA, the founder and owner of Dentaltown.com and Dentaltown magazine, has practiced dentistry at Today’s Dental in the Phoenix metro area for more than 30 years. 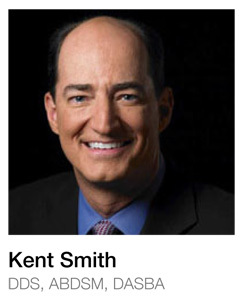 In 2017, Incisal Edge magazine ranked him among the 32 most influential people in dentistry. Dr. Farran has lectured internationally on the business of dentistry since 1990, captivating audiences with his blunt, humorous and practical insights into the industry’s most controversial subjects. His genuine passion for helping dentists provide faster, easier, higher-quality and lower-cost dentistry to their patients is what drives him to this day. And his world-renowned podcast series Dentistry Uncensored with Howard Farran, which has released more than 1,000 episodes and has been downloaded more than 5 million times. Dentistry Uncensored’s guests include dental professionals from around the world, including top-tier specialists, dentists fresh out of school, CEOs of the world’s largest dental companies, and experts in marketing, finance, practice management and more. A lecture unlike any that you have attended. Dr. Berley is actually encouraging your participation. Dr. Berley will briefly discuss difficult dental-legal subjects and you will get the opportunity to ask those questions that are driving you crazy. Come with your questions ready. Topic: Comparative Bite Position Analysis; adding vertical and other dimensions to bite taking methods. In medicine, the highest level of care would respect the phenotypic diversity of the human population. Moreover, that level of detail of care would honor precision and sensitivity to treatment involved with every individual’s unique anatomy and airway. For example, during physicians’ prescription medication formation, dosages are calibrated and attained with substantial attention for the patient’s customized treatment. The physician would consider all physiology, medical history, and anatomical characteristics for optimal outcome. So, why is it different when it comes to the bite dentists take for oral appliance therapy? This lecture help attendees understand the nature of every patient having a unique airway and anatomy. Dr. Hu, grew up in Soldotna, Alaska, the heart of the Kenai Peninsula and home of the world record King Salmon. He graduated from Soldotna high School in 1991, earning abundant local, state and national scholarships and was also admitted to a very competitive dual-degree program, called the “Preferred Admissions Program” at the University of Michigan in Ann Arbor. He knew he wanted to become a dentist ever since middle school, and being admitted to this vigorous program, he was able to attain both his bachelor’s and doctorate degree at age 24. While at Michigan Dental School, Dr. Hu earned research recognition and awards, for his study, “Searching for practical methods to monitor Streptococcus mutans levels” under Dr. Walter J. Loesche, former President of the International Academy of Dental Research (IADR) and American Academy of Dental Research (AADR). Currently, Dr. Hu is dedicated to providing exceptional dentistry in Anchorage and Soldotna. 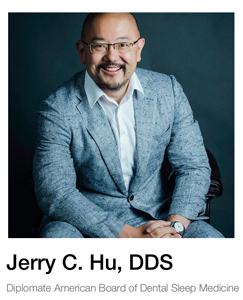 Over the years, Dr. Hu has attained extensive training at the American Academy of Implant Dentistry, American Academy of Dental Sleep Medicine, International Congress of Oral Implantologists, American Academy of Cosmetic Dentistry, and at the prestigious Las Vegas Institute for Advanced Dental Studies (LVI). He has earned many Fellowships and Masterships and has published numerous articles with his research in cosmetic dentistry and dental sleep apnea treatment. In 2017, he became the first full time dentist in Alaska to earn Board certification for Dental Sleep Medicine as a Diplomate of the American Board of Dental Sleep Medicine and the American Sleep and Breathing Academy. Topic: Medical Dentists or Medical Doctors: why is it so important to distinguish who we are. Why understanding our differences is vital to our ability to successfully deliver OAT and more importantly to get paid for providing this live changing service. Dr. Morris began observing the toll that obstructive sleep apnea (OSA) was taking on the oral health of his patients. In particular a friend and dental patient whom he treated suddenly passed away in his sleep from obstructive sleep Apnea one night due to not wearing his CPAP. Dr. Morris decided he wanted to help save lives through treating OSA. In taking many continuing education courses on OSA, along with the trained staff, Premier Sleep Solutions is now saving lives daily. His involvement in sleep medicine turned from primarily screening for sleep apnea to now having very close relationships with sleep physicians and allied health professionals in the community in treating this disease. Topic: Sleep Apnea: A Priority for State Government and Highway Safety. 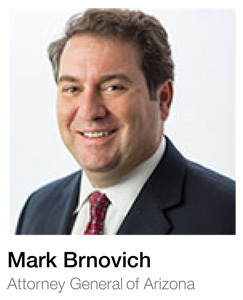 Presenter: Mark Brnovich, pronounced, “Burn-O-Vich”, is a lawyer and politician from the state of Arizona who currently serves as Attorney General of Arizona. It’s the largest law office in Arizona, with approximately 400 attorneys and 1,000 employees. Newton fitness is for everyone. stretch, breathe, listen. If you’re at the Sleep and Wellness conference, you’ve come to the right place. Feel better than you’ve ever felt. Prepare to meet the day and reach your peak. 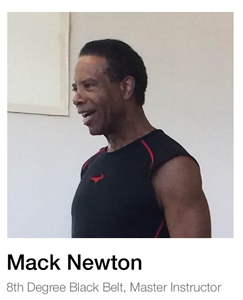 Mack Newton has trained in the Martial Arts for over 52 years and in Taekwon-Do since 1966. He has owned and operated a studio in Phoenix, Arizona for the past 24 years. In 1981, Mr. Newton was named Head Coach of the USA Taekwon-Do Team and held that position until 1984. He is credited with creating the competition format currently being used in International Taekwon-Do competition. Mack Newton was appointed the Conditioning Coach for the Oakland A’s Major League Baseball Team in 1985. He held that position for nine (9) years before resigning in 1993 in order to spend more time in his studio with his growing list of clients. He also worked as the Conditioning Coach for the Dallas Cowboys from 1989 to 1993. Mack has developed many new training methods and has been credited with saving and extending the careers of several Major League baseball and NFL football players. 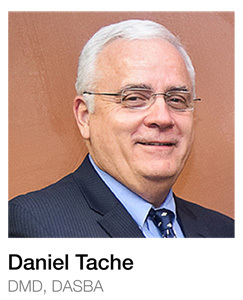 Dr. Taché is a graduate of Tufts University School of Dental Medicine. After graduating from dental school, he completed an advanced General Dentistry Residency program at the Veterans Administration Hospital (VA)/University of Texas Dental Branch (UTDB). Dr. Taché attended an 18-month training program for the diagnosis and treatment of Myofascial Pain Dysfunction (MPD). Dr. Taché established a successful practice in Houston, Texas, where he emphasized Temporomandibular Joint Dysfunction (TMD), Myofascial Pain Dysfunction (MPD) and Sleep Apnea (SA). During that time, he maintained his position as an assistant clinical professor, lecturing on TMD/MPD. In 1999, Dr. Taché and his family moved back home to Appleton and became the first board-certified dentist in Dental Sleep Mediine in the state of Wisconsin. Professor Singh is a US citizen who was born, educated and trained in England, UK. He holds three doctorates, including Doctor of Dental Medicine; a Ph.D. in Craniofacial Development, and a third Doctorate in Orthodontics. On the basis of being an “outstanding professor” supported by Harvard University, the University of Michigan, and the University of Hawaii, he was invited to relocate to the Center for Craniofacial Disorders, USA where he led a NIH-funded program of clinical craniofacial research. Currently, he is a Board Member of the American Sleep and Breathing Association, Member of the World Sleep Society, an Academic Fellow of the World Federation of Orthodontists, and Fellow of the International Association for Orthodontics, where he was awarded prizes in 2005, 2013 and 2014. He has published over 200 articles and books in the peer-reviewed medical, dental and orthodontic literature, and has lectured in North America, Asia, Europe, Australia and Africa. 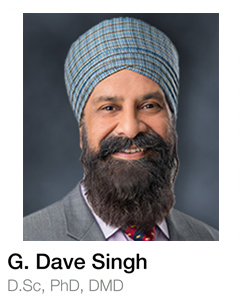 Currently, he is President and Chief Medical Officer, Vivos Therapeutics, Inc. Prof. Singh is the 2019 recipient of the US Invisible Disabilities Association award for “ … providing the possibility of healthy lives for millions living with illness, pain and disability”. Effective AHI accounts for sleep disordered breathing events during the time CPAP is and is not being used, to quantify residual disease burden. This lecture will compare the effectiveness of oral appliances vs CPAP usage accounting for differences in compliance, residual AHI, mean disease alleviation and provide a framework for treatment recommendations in patients with OSA. Dr. Sall is a Sleep Physician and Dentist trained in Sleep Medicine who works on enhancing physician acceptance of Oral Appliance Therapy for patients with OSA. Oral Appliance Therapy is recommended for patients who are intolerant of CPAP or prefer alternative therapy. Despite this guideline, each year hundreds of thousands of people with OSA go undiagnosed or remain untreated after they abandon CPAP. 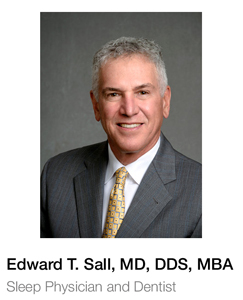 Dr Edward T Sall obtained a DDS from Columbia University School of Dental and Oral Surgery. While at Columbia University he spent a year working in the Temporomandibular and Orofacial Pain Clinic under the direction of Dr. Joseph Marbach. After dental school, he completed a GPR residency in Hospital Dentistry and joined his father in a private practice in general dentistry. Due to his interest in facial pain and temporomandibular joint disorders he decided to return to medical school for additional training. He attended SUNY Upstate Medical Center and received a MD in 1987, followed by a 5-year residency in Otolaryngology/Head and Neck Surgery. Dr. Sall became board certified In Sleep Medicine in 2012. Currently he is a consultant to the Upstate Medical Center Sleep Lab as well as the Crouse Irving Memorial Sleep Lab. Dr. Sall is the Medical Director for ProSomnus as well as ProAct Health Solutions. 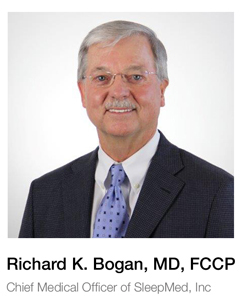 Dr. Bogan is the Medical Director of SleepMed of South Carolina in addition to serving as Chief Medical Officer of SleepMed, Inc., the largest sleep diagnostic company in the United States. He is also Associate Clinical Professor at the University of South Carolina School of Medicine and Associate Clinical Professor at the Medical University of South Carolina in Charleston, S.C.
Dr. Bogan received his bachelor’s degree in chemistry from Wofford College and his MD degree from the Medical University of South Carolina in Charleston. He served his internship and residency as well as was Chief Medical Resident at the University of Alabama Hospital and Clinics in Birmingham. Thereafter, he completed a fellowship and assistant professorship in the Pulmonary Division of the Department of Medicine at the University of Alabama School of Medicine. He has been certified by the American boards of Sleep Medicine, Internal Medicine, and Pulmonary Diseases. 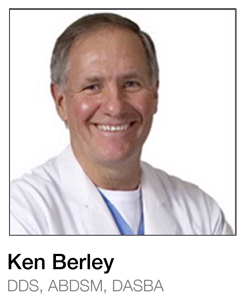 Dr. Bogan has served as principal investigator on numerous clinical trials in the past and continues to do so now. He has a variety of publications and research interests that focus on topics such as narcolepsy, insomnia, sleep apnea, shift work sleep disorder, restless legs syndrome/periodic limb movement disorder, chronic fatigue/fibromyalgia and circadian rhythm abnormality. 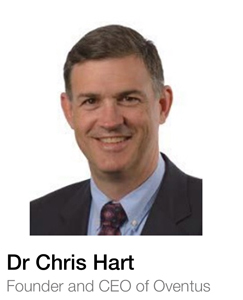 Dr. Chris Hart is the founder of the Company and inventor of the O2VentTM design concept. Chris is overseeing the launch of the O2VentTM to patients and through clinicians and heads the management team as they roll out the Oventus Sleep Treatment Platform across Australia and the United States. Chris is also heavily involved with training and presenting to the dental and sleep sector. Chris graduated from the University of Queensland in 1998 with a Bachelor of Dental Science with Honours and a Bachelor of Science in Biochemistry. He has studied at Cambridge University where he graduated with a Master of Philosophy in Biomedical Science in 1999. Prior to establishing Oventus, Chris owned and managed a multi-site national dental practice, training institute and management consultancy which he sold to private equity investors. Chris also acts as an adviser within the dental industry on the commercial aspects of health care delivery. 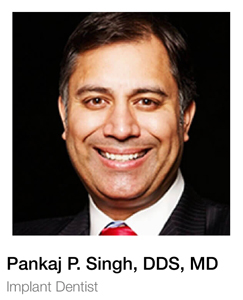 Recognized as an authority in the field, Dr. Singh lectures nationally and internationally and diplomats of both The International Congress of Oral Implantologists and the American Board of Oral Implantology/Implant Dentistry, where he served as board examiner and currently serves as faculty at Foundation for Surgical Excellence, a teaching and research foundation and is an Attending in the Department of Otolaryngology and Oral & Maxillofacial Surgery at Lenox Hill Hospital, NYC and is an Expert faculty at The New York Head and Neck Institute and faculty at The Center for Facial Reconstruction at Lenox Hill Hospital and the Northwell Health System. He received his Bachelor of Science degree from SUNY at Stony Brook and Doctor of dental Surgery from New York university College of Dentistry before doing his residency in Dental and Oral Surgery and fellowship in Dental and Oral Implantology at Brookdale Hospital Medical Center, and fellowship in Anesthesia at Albert Einstein School of Medicine and Montefiore Medical Center. He is a fellow of the American Academy of Implant Dentistry and currently serves as an editor of the Academy’s Research Publicaton “Journal of Oral Implantology” and serves on the board or several other publications. Dr. Singh has published numerous original research articles, reports, has contributed to several textbooks and is the author of the bestseller textbook “Atlas of Oral Implantology – 3rd edition” by Mosby/Elsevier. He holds several patents and most recently invented the minimally invasive guided implant and harvesting system “Guided Precision Surgery” and has spent the last 20 years researching the effects of Oral Appliances on airway and Dental Sleep Medicine. He is dedicated to researching new avenues for improving surgical techniques and instrumentation, and sleep apnea treatment both in dentistry and sleep medicine and is a passionate advocate for developments in Dental Sleep Science. It is among his professional goals to educate dentists on their role in a team approach to treatment of snoring and obstructive sleep apnea. Never satisfied with the status quo, as CEO and chief scientific officer at APP-NEA, LLC, Dr. Singh has been using deep machine learning and augmented intelligence to develop automated algorithms, new technologies and workflow that allow dentists to treat patients with obstructive sleep apnea more effectively and efficiently. Physicians and Dentists are now becoming increasingly involved in the treatment of Obstructive Sleep Apnea. Treating these disorders usually becomes more effective when the two professions work together as a team. Recent research has highlighted an increasing body of knowledge that supports the relationship between sleep and pain. Since many physicians and dentists are involved in the treatment of both, I will be presenting information that explores how sleep and pain affect each other and how treatment of both is important for thorough patient care. Dr. Cohen is Assistant Professor, AT Still University (Mesa Campus) , Director of OFP and Dental Sleep Medicine, Attending Faculty UCLA OFP and Dental Sleep Medicine Residency and Medical Director, Southwest Orofacial Group. 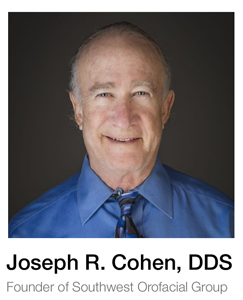 Dr. Cohen is past president of the American Academy of Orofacial Pain and the American Board of Orofacial Pain. He has lectured extensively over the past 30 years both nationally and internationally on diagnosis and treatment of TMD, Orofacial Pain and Sleep related breathing disorders.